In a piece for Town & Country you wrote, "In college, my roommate wore a perfume with notes of jasmine, tuberose, and cedar. Her morning spritzes served as my alarm clock, waking me up and sending me into olfactory shock and quickly out of our studio apartment." What was your roommate experience like when you were a student at NYU? I was randomly paired with my freshman year roommate, Meera, and we became immediate friends. We lived together for four years (excluding the one semester we studied abroad in different cities), three of which were spent in dorms and the last in an apartment off-campus. Despite the fact that I wasn’t the biggest fan of her perfume (to be fair, I’m still not a fan of most perfumes), she is one of my best friends to this day—and the book is dedicated to her! 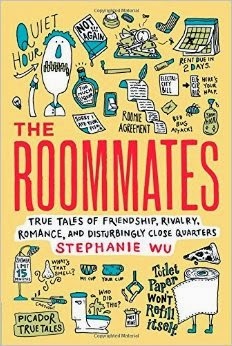 Your book, The Roommates: True Tales of Friendship, Rivalry, Romance, and Disturbingly Close Quarters showcases a number of roommate experiences. What made you decide to write a book about roommates? Much of my interest in writing this book stemmed from the fact that I’ve had more than 20 roommates throughout my life—summer camp, college, study abroad, and now post-grad. While my personal experiences have been relatively tame, each left me changed in some way. But I knew horror stories existed out there, and that compiling a broad range of stories into a book would be a terrifically interesting look at how living with a roommate today is vastly different than it was 20, or even 10, years ago. How did you go about finding people to interview for the book? I started by scouring my networks, both physical and social, and was shocked by the stories that came out of the woodwork. Some I remembered hearing when they happened, and in other cases, I had no idea that these stories had happened to my acquaintances. I also hunted specifically for a few stories—I knew I wanted tales of roommates starting business together, living in a retirement home, and a behind-the-scenes look at a reality TV show—and managed to find some great people with those stories to tell. Can you share one of your favorite roommate stories from the book? One of my favorite stories is The Multiple Personalities, about a group of young women living together, one of whom (called Sandra in the book) has dissociative identity disorder. When I first heard of this story—a bunch of roommates going to therapy together to deal multiple personalities—I thought it would end terribly. But I got goosebumps as the narrator was telling me the story: how they banded together for Sandra, worked with her therapist to help her overcome her difficulties, and even went on vacation together during a good period. It was a heartwarming tale that completely surprised me. What are some of the lessons you learned while writing this book? What advice would you give to someone who is struggling with roommate issues? The roommate obstacles in the book range from the more common (bed bugs, hoarding, heartbreak) to the extraordinary (identity theft, mental disorders, death). What I found amazing was the way my interviewees handled these problems, all with incredible humanity, a few even admitting they were at fault in some ways. Moving in with strangers can work out fantastically, and moving in with a best friend or boy/girlfriend can end horribly. The overarching lesson? Living with a roommate is a universal rite of passage, and one that is completely unpredictable. It’s the way we deal with what life throws our way that is most telling of who we are. In addition to writing this book and working for Town & Country you also co-founded MochiMag.com. Can you tell us more about this online publication? I co-founded MochiMag.com during college. 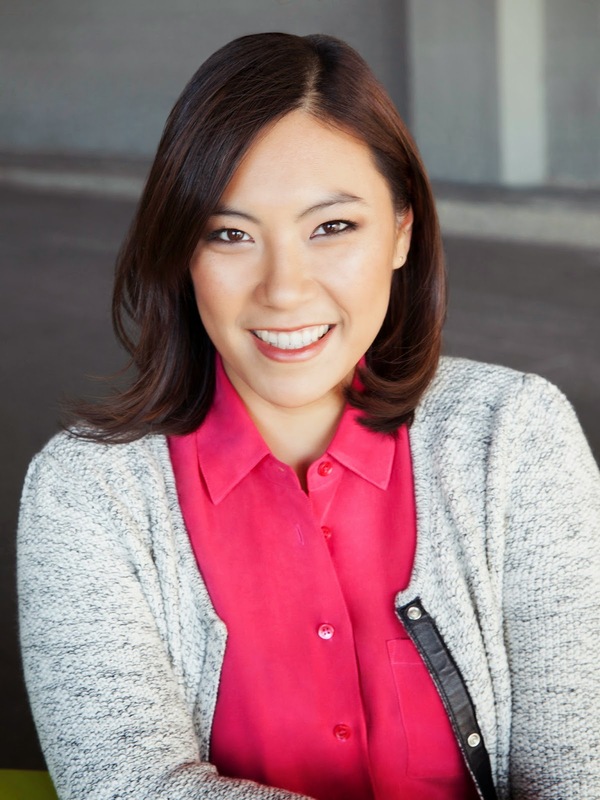 Great timing played a major factor—I was taking a course on Asian American pop culture, and was put in touch with a friend of a friend who, like I, was frustrated that there wasn’t a publication devoted to young Asian American women. I loved reading teen magazines growing up, but never felt truly represented in the pages. MochiMag.com is dedicated to the young Asian American community, both by highlighting up-and-coming entertainers, entrepreneurs, athletes, and the like; and also by providing service-oriented pieces on beauty, fashion, and health. We publish the type of stories I wish I’d read as a teenager, and I hope it allows young women around the world to find role models they can relate to.